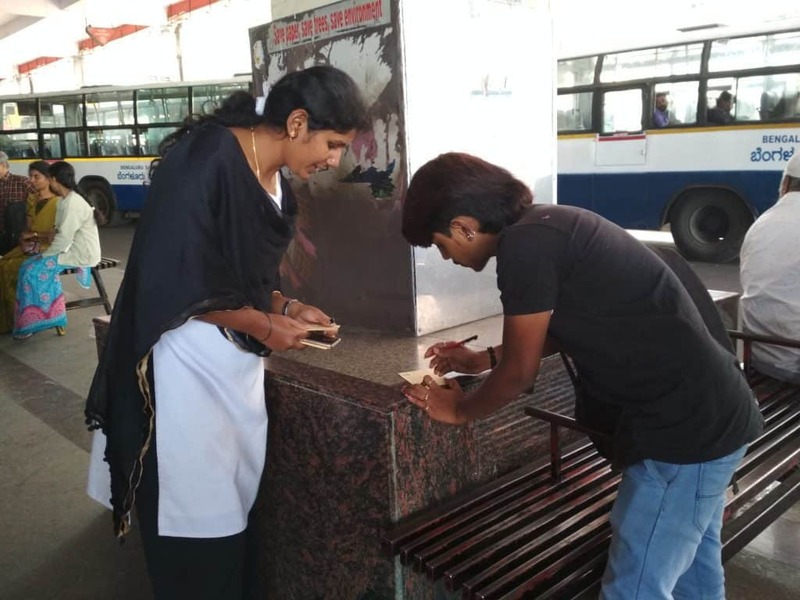 In an attempt to get opinion from Bengaluru bus commuters regarding the State Government’s proposal to hike BMTC bus fares, several concerned individuals and groups held a ‘Post Card Campaign’ at the Shivajinagar Bus Stand, in Bengaluru recently. Vinay Sreenivasa of Bengaluru Bus Prayanikara Vedike said, “The State Government is investing an obscene amount of money to build Elevated Corridors in Bengaluru. If a portion of that amount is utilized towards making the bus system better, the entire public transport system across the State can be made world-class”. Madeena of Garment and Textile Workers Union urged the State Government to encourage public transport. “The Karnataka Government must support the BMTC financially, so that they don’t increase the bus fares which will help the working class in the city,” she said. Babu, President of Bengaluru Jilla Beedhi Vyapari Sanghatanegala Okkuta said that the government is building Elevated Corridors to decongest roads in the city. “This city is well known for its traffic problems. The reason for traffic jams are cars and other private vehicles. The solution for traffic problems is to make public transport better and not make projects that will help more cars come on to roads,” he said. Prof. U Ramdas Rao, who took part in the campaign, said that the Chief Minister must not increase bus fares without public consultation. “Unless the government makes serious efforts to reduce the fares, Bengaluru is going to see worse traffic congestion, more pollution and a city only for the elite,” he said. Tara Krishnaswamy of Citizens of Bengaluru said, “Our city will come to a grinding halt if not for the 6500 BMTC buses that carry 45 lakh people daily. It is about time the CM and the DCM call for public consultation to understand the perspective of bus passengers before signing off ₹35,000 crores on elevated corridor project that doesn’t help any bus user”. As part of the ‘Post Card’ campaign regarding the proposed Elevated Corridors in Bengaluru, about 1,750 post cards have been signed. 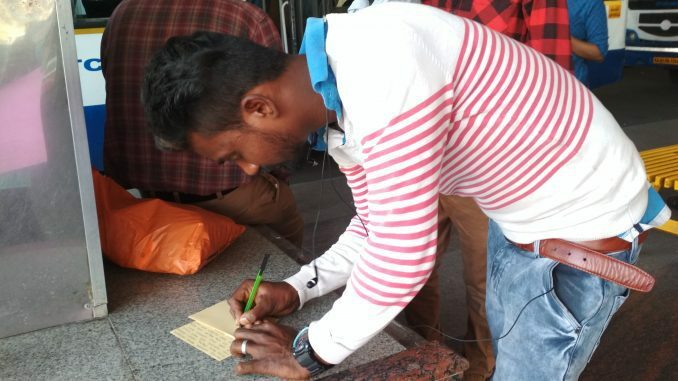 The campaign today was organised by the Bengaluru Bus Prayanikara Vedike, Garment and Textile Workers Union, Bengaluru Jilla Beedhi Vyapari Sanghatanegala Okkuta, Slum Janara Sanghatane, BBMP Guttige Pourakarmikara Sangha, Domestic Workers’ Rights Union, along with Citizens for Bengaluru. Sexual harassment experienced by women, including female conductors, in buses, is never spoke of in public. Can BMTC do something about this? Here’s a press release from Bangalore Bus Prayanikara Vedike. 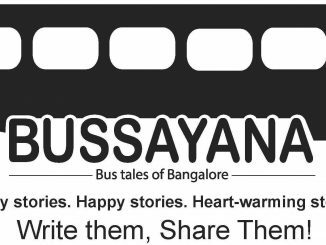 A unique bus festival that seeks to advocate for a Bengaluru designed around the bus as the primary mode of transport. Commuters have been requested to wear black clothes or a black band and board the buses on this day to show their protest against bus fare hike.